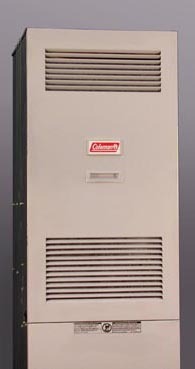 The heat exchangers of some Coleman®, Coleman® Evcon, and Red T gas furnaces have been found to overheat in certain circumstances, which can lead to a failure of the heat exchanger and the furnace. It’s never good for the internal components of a furnace—or any appliance or electrical device—to run hotter than the temperatures they were designed to handle. The problem has been traced to differences in installation, application factors and variations in components. These situations, if left unresolved, can lead to significant property damage, personal injury or death. You should have your furnace inspected if it is one of the models listed below. How Do I Know If My Furnace Is Affected? 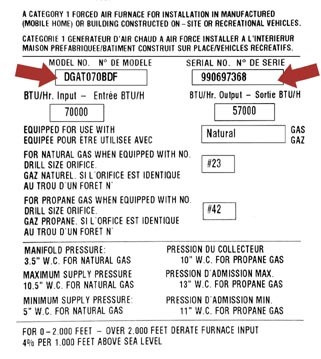 These units were manufactured between 1995 and 2000 and used only in manufactured housing. My Furnace Is Affected, What Should I Do? Call a participating Coleman® Authorized Service Center in your area for a FREE inspection of your furnace. Use the locator tool featured on the upper right corner of this page. A qualified technician will give your furnace a thorough inspection. You will receive a $100 towards the cost of a new replacement UPG furnace, if the inspected furnace is included in the recall. The $100 can be used to reduce either the purchase price or installation cost of a new replacement UPG furnace. Previously repaired units are not eligible for the rebate. Contact the Program Support Center at (888) 665-4640. Click here for more information regarding effectively maintaining your furnace after this upgrade. To find a service center in your area that will inspect your furnace, enter your ZIP code in this box and then click the Find key located adjacent to the Zip Code Box. If you live in Canada, enter your City name in the appropriate box and click the Find key located adjacent to the City Box. An agreement dated August 10, 2018 under the Re-Announcement on this Safety/Inspection Notice with the U.S. Consumer Product Safety Commission in the United States, and the Health Canadians group on their websites posts a change to this program effective that date. Options for repairing those furnaces included in this recall notice with field update kits or replacement heat exchangers will no longer be offered. 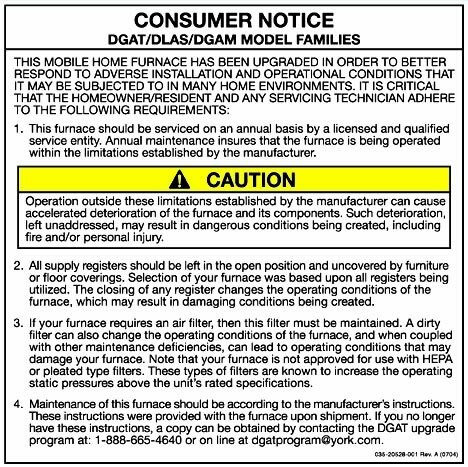 Consumers with eligible furnaces (models included in this recall notice) will receive a $100 (US) rebate towards the cost of a new, replacement Johnson Controls/UPG MH furnace (Coleman or related brands). Previously repaired units are not eligible for this rebate/refund. Please make sure that you download and use the latest version of this form, with the file name “DGATFINALFORM_2018.doc”. 1. Right click the file below and select "Save As" or "Save Target As". 2. Select the location in which you would like to save it. * Please Note - The file will not work correctly if you simply "left click" it. Most internet browsers will try to open the file within the browser, thus terminating the functionality and feature of the form.